other: fluffy tail. Apollo's younger sister. Used to live in Greece, and her parents were killed by hunters, a few years later she and Apollo were captured and shipped far away. 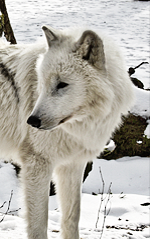 The hunters who took them weren't paying attention and she and Apollo got out of there cages and ran to the lands were wolves ruled and few humans dared to go.